Joko Widodo was sworn in as Indonesia’s seventh president on October 20th in Jakarta and succeeded Susilo Bambang Yudhoyono who stepped down after serving two five-year terms. Mr. Widodo, popularly known by nickname Jokowi, is the first Indonesian president not to have emerged from the military or political elite. He was born and raised in a slum area in a river bank in Solo, Central Java Province. Jokowi is the son of a carpenter and grew up to be a furniture businessman. He entered politics in 2005 when he became mayor of his hometown Solo. Jokowi was twice elected mayor of Solo and then governor of Jakarta in 2012. He was elected for second term in 2010 with more than 90% of the votes. He was popular among voters due to his people-oriented policies and ability to empathize with the poor. Jokowi has successfully transformed Solo to be a more livable city and rebranded Solo as the Spirit of Java. Jokowi addressed urban issues in Solo including street vendors and acute traffic jams with a unique and innovative way. Most street vendors in Indonesian cities engage in unregulated, disordered and uncontrolled activities and could cause urban blight. They are a nuisance and obstruct public spaces without paying any rent. Most Indonesian cities used repressive measures to evict street vendors from urban parks or other public spaces. In 2005, Mayor Jokowi successfully relocated 989 street vendors from the elite urban monument park of Banjarsari to Klitikan traditional market. He was not the first mayor to try to restore the park that was blighted by unorderly street vendors. He persuasively convinced the street vendors about a plan to restore the monument park of Banjarsari, and offered the street vendors a new place for their activities in Klitikan traditional market. After seven months of negotiations, the street vendors agreed to relocate their businesses to Klitikan traditional market. The city administration waived the business permits and license fees and only asked the street vendors to pay Rp. 6,000 (US$ 0.50) per day for the rent. The Solo city administration had calculated the payments from the street vendors would pay off the city spending approximately Rp. 9.8 billion (US$ 816,000) for building Klitikan traditional market in eight-and- a- half years. In the meantime, the monument park of Banjarsari has been restored as a beautiful and pedestrian friendly monument park. After the successful relocation of the street vendors from the monument park of Banjarsari, the Solo city administration replicated the program to other locations frequented by street vendors including Manahan stadium, Langen Bogan and Mayor Sunaryo Street. The Solo city administration has also renovated several traditional markets including Nusukan, Kembalang, Sidodadi, Gading, and Ngarsapura. Mayor Jokowi also introduced bus rapid transit services to address the traffic problems in Solo. His mantra of addressing the city’s traffic chaos is “Move People, Not Cars”. He understands that the correct way of addressing the city’s traffic congestion is not building more roads, but developing mass transportation. He also used this mantra during his campaign for the Jakarta’s governor in 2012. Jokowi developed double decker buses and rail-buses services in Solo. Solo became the first Indonesian city that implemented railbus services. His success in Solo quickly captured national attention and prompted the Indonesian Democratic Party of Struggle to name him as a candidate for Jakarta governor in 2012. Jokowi and his running mate Basuki Purnama Tjahaja offered his vision of a “New Jakarta” aiming to address many acute urban problems in Jakarta including traffic jams, floods, slum areas, poverty, thugs, access to health care and education, and street vending. They won the election with 2,472,130 votes or 53.82% of the total votes. In less than two years as the Governor of Jakarta, Jokowi earned praise for his approaches of addressing chronic urban problems in Jakarta particularly traffic jams, floods, slums and street vending. 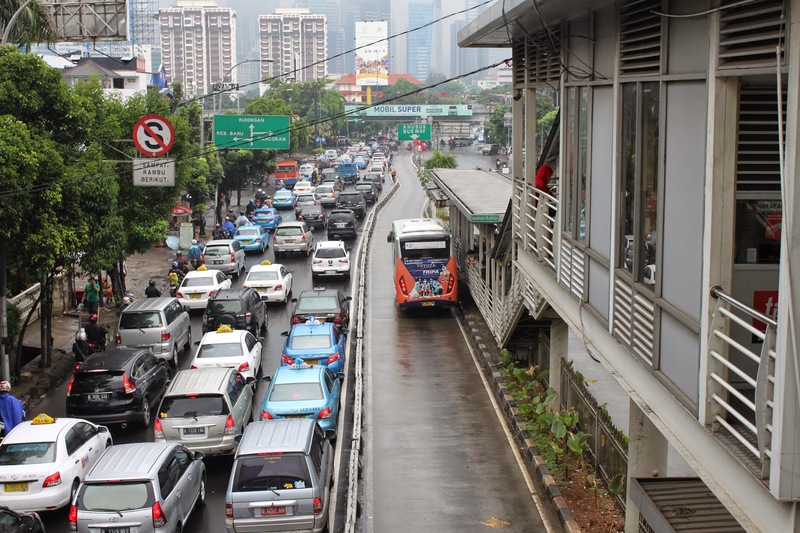 Unlike the previous Jakarta governor, Jokowi openly opposed the development of elevated toll roads because he believed such roads would not disentangle Jakarta’s chronic traffic congestion. Instead, Jokowi expanded the TransJakarta busway’s routes and restarted a monorail project that had been delayed for decades. Jokowi also introduced the electronic road pricing (ERP) and offered free double-decker buses in several Jakarta’s main thoroughfares. Most importantly, Jokowi succeeded where three previous governors had failed, in developing a mass rapid transit (MRT). The construction of the MRT project began on October 10, 2013. The first MRT track will connect Lebak Bulus, South Jakarta and the Hotel Indonesia traffic circle, Central Jakarta with six underground stations, seven elevated stations and a capacity of 173,000 passengers per day. The success of the street vendor relocation in Solo was replicated by Jokowi in Tanah Abang, Jakarta. Hundreds of street vendors in Tanah Abang caused the horrendous traffic jams at the biggest textile market in Southeast Asia. He offered the vendors to use the Blog G building for their economic activities. After months of negotiation with the street vendors, 968 street vendors were relocated to the Blog G building. Jokowi won praise as the street vendor relocation cleared the traffic jams in the Tanah Abang area. Street vendors in Sunda Kelapa, Pasar Minggu and Kota Tua were also relocated by the city administration to designated buildings nearby. Jakarta lies in a lowland area with 13 rivers and floods have become a threat and bring increasing woes for Jakarta residents every year. Jokowi understood the roots of the problem and attacked them in many ways. In June 2013, Governor Jokowi signed an agreement with the World Bank for the dredging project. The project used US$150 million to dredge 11 rivers and two dams in Jakarta including the Cakung River, the Sunter River, Angke River and the Ciliwung River. Jokowi also successfully relocated squatters occupying a number of Jakarta’s riverbanks and reservoirs to a number of low-cost apartments nearby. The relocations made way for the development of inspection roads as an access point for dredging equipment. Jokowi was aware that the conversion of water catchment areas, green areas and wetland had been also the Jakarta’s floods. During his time as governor, Jokowi restored several lakes and reservoirs including Ria-Rio reservoir, Pluit dam, Cengkareng Lake, and Sunter Lake. Jokowi also built a new public park, a jogging tract, amphitheater and seating for relaxing in the west side of the Pluit dam. In less than two years, Jokowi also restored and developed several new city parks including Semanggi Park, BMW Park, Ramah Anak Salam Park, Tebet Park, Penjaringan Park, Tugu Tani Park, Casablanca Park, and Tanah Abang Park. All tributaries and basin areas of the 13 rivers in Jakarta are located in the peripheries of Jakarta and they are strongly associated with the floods in Jakarta. Jokowi coordinated with nine neighboring cities and regencies and offered Rp. 45 billion (US$ 3.75 million) to finance flood mitigation programs in 2014. In February 2014, Governor Jokowi attended a tree-planting ceremony with Bogor Regent Rachmat Yasin at the upstream area of the Ciliwung River in Bogor Regency. The ceremony marked the beginning of the plantation of 40,000 trees across Bogor Regency. The Jakarta administration also acquired 107 hectares of land in Bogor regency to build two new reservoirs while it is the responsibility of the central government to build the reservoir. The reservoirs will act as a water catchment area and mitigate the impact of floods in Jakarta. In Jakarta, most poor residents live in spontaneous informal settlements referred to as kampung. Kampungs are scattered throughout the city and have substandard infrastructure, small plots of land for each dwelling and low quality of building structure and materials. Jokowi introduced an innovative program called Kampung Deret that builds low-rise apartment blocks for very low-income residents in Jakarta’s kampungs. This new program was launched in October 2013. The program aims to create a house and an environment that adhered to ideal health standards which will improve the lives of its residents. The city government provided a budget of 54 million rupiahs (US$4,500) for each housing unit which was disbursed to the residents in three phases, with a consultant to mediate the process. Residents are responsible in overseeing the construction and are allowed to renovate their own spaces with the given budget. The first Kampung Deret project was inaugurated by Governor Joko Widodo on April 3, 2014. This project replaced the semi-permanent and substandard houses on the riverbanks in Petogogan, South Jakarta. 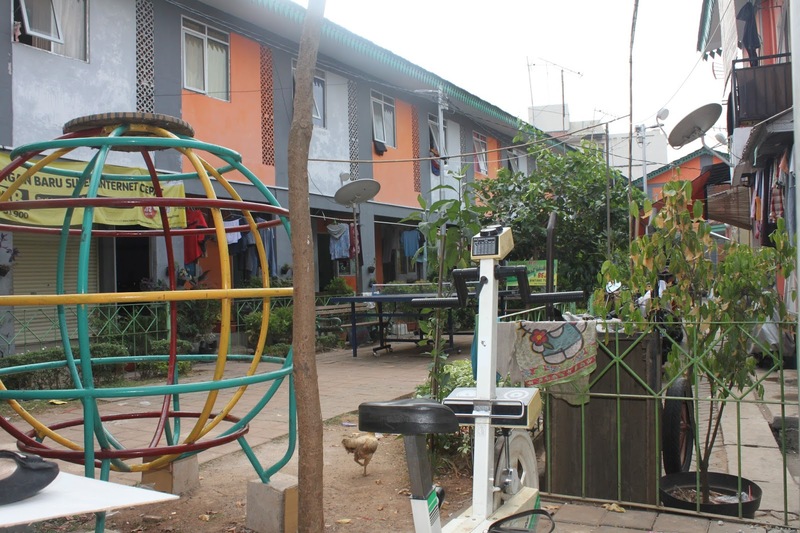 The project built 124 units of two-story decent apartment blocks for the residents who used to live the area as squatters. The project also improved the drainage system and developed a park in the neighborhood. The project was also aimed to mitigate the floods in Petogogan subdistrict since this area was frequently flooded during the rainy season. In 2014, the city administration has been completing other Kampung Deret projects in 74 locations in Jakarta. In less than a decade, Jokowi completed an improbable ascent from the mayor of his home city with a population of a half million to the governor of bustling Indonesia’s capital and finally the president of the world’s fourth-most populous country. Not only did his strong urbanist credentials transform Solo and Jakarta to be more livable places but also contribute to his ascent to the top job in Indonesia. The people of Indonesia will witness if his urbanist credentials could also address numerous challenges of Indonesia including reviving the country’s sluggish rate of economic growth for the next five year of his term.